Jesus left his beautiful home in heaven and came to earth to show people how to be happy together. He knew they could not be happy if they quarreled. They could not be happy if they were unkind. People can be happy only when they love each other and help each other. 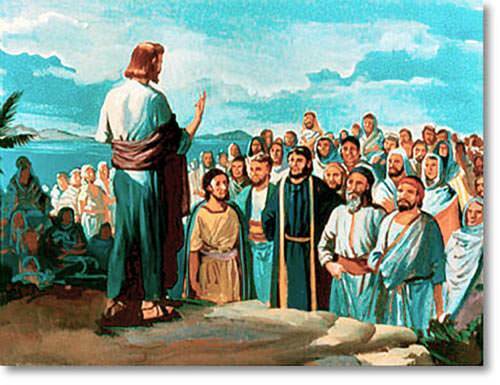 One time when he was talking to a great many people, Jesus gave them a new rule. “Do to others what you would love them to do to you,” he said. Jesus never forgot to keep these rules himself. He was always ready to help and to show his love. One time a little boy was sick. The little boy’s father was very sad. Jesus made the boy well again and the boy and his father were so happy and so thankful to this kind Friend who had helped them. 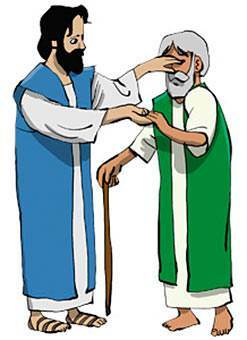 Another time Jesus met a blind man on the road. 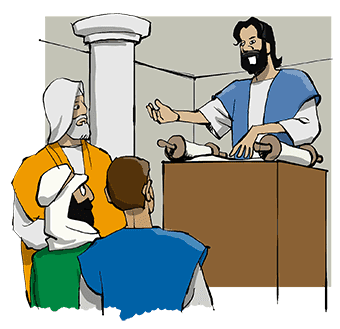 The man’s name was Bartimaeus. The poor man could not see the flowers or the birds or the blue sky or even his mother’s face. Jesus made his eyes well so he could see everything. 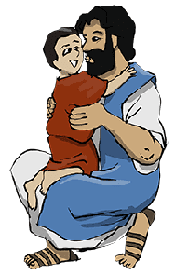 Bartimaeus was so happy and so thankful that he wanted to follow Jesus everywhere he went. 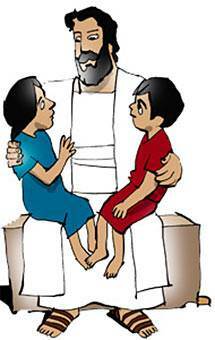 One day some children came to see Jesus. A man told them not to bother Jesus. But Jesus knew they would be sorry not to see him, so he called them to him, and he loved every one of them. And so, as he went from place to place, Jesus was always making people happy. He was showing them how to do to others as they would like others to do to them. 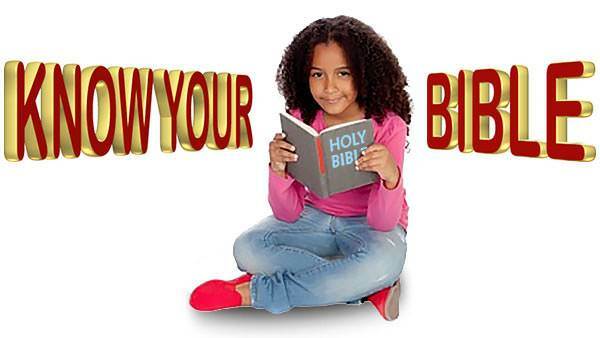 Can you remember Jesus’ rule, too?